The coalition forces led by the late most Rev Sobitha Thero did exactly what former President did at the recent election during the run up to the 2015 election. They lucidly marketed the negatives of the former strongman but mostly created hope amongst the electorate of better times. Three years down the road without the late Rev Sobitha, the coalition lost it’s sails and meandered along forgetting the aspirations they themselves created. The Yahapalanaya government did have many credits to itself in the form of media freedom, rule of law and judicial independence. These however were not issues directly felt by the masses who were bombarded by rising food and other prices. “yahapalanaya kannada? ” asked a three wheel driver from me. The approach of this government was of a technocratic nature which would at best be ideal for a developed nation. Mahinda Rajapaksa regime was full of flash and thunder and mega projects that brought in mega bucks for them which were used at this election. The rural electorate cannot distinguish between seven zero numbers and four. They witnessed the vanity projects and the over priced road network built during the MR period as a great leap to modernity. They do so at present too. They also believed somewhat that the Rajapaksa family and regime were corrupt. That was the reason behind Maithripala Sirisena becoming President. But that was in 2015. They do not think so now. Ranil Wickremesinghe, could not have defeated Mahinda Rajapaksa at the last Presidential election. Or, that was the thinking at the time Maithripala became the common candidate. It was that same thought process when Gen. Sarath Fonseka, was nominated at an earlier election. Ranil Wickremesinghe, therefore cannot muster enough to oust a Sinhala Buddhist stalwart for Presidency after the defeat of the LTTE, by his own reasoning. He however has a firm grip on the Executive Committee of the UNP and cannot be hoicked. These are realities for the UNP to ponder. Let us reason why the electorate opted to give Mahinda Rajapaksa such a boost at the recent local government elections. It was common knowledge that the man on the street was disillusioned within a single year of Yahapalanaya. Ranil was looked upon as upright when he refused to smuggle in defeated candidates through the back door to parliament when Sirisena did. Though there was a strong cry to bring in Rosy Senanayake he did not. Then he faltered. Faltered big time. President Sirisena got embroiled in micro management. He forgot that he was the Chief Executive. Bras being thrown on stage and the level of sugar in flavoured drinks became important. The Yahapalanaya government ( Sirisena faction) then looked inward at corruption. The Bond Issue imploded. Ranil Wickremesinghe cannot do what Mahinda Rajapaksa can. He does not know how to cover up for rogues. That is Mahinda Rajapaksa’s forte. he need not have defended anyone. That was the mandate given to him. He forgot two important factors. Right people, (read Doers) in the right places and distance (read Sack/Dismiss) the corrupt. Defending Arjuna Mahendran and continuing with Ravi Karunanayake were but some. 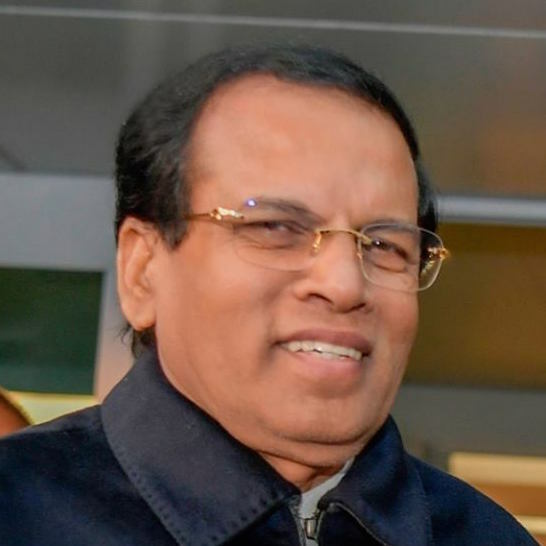 There were many other UNP’ers within the Cabinet that the Sirisena appointed Ministers whispered in to the ears of the President and the media, of being corrupt. Not done due to altruistic reasons but for green eyes that UNP’ers had embraced the plum Ministries. Big Ministries-Big Bucks. Remember President Sirisena was enamoured by Ranil at the initial stages and would have done his bidding willy-nilly. But as Sri lankan’s are wont to do, the SLFP ministers made Sirisena guilty of not placing the SLFP first amongst equals. But these were not the serious issues that the Yahapalanaya government failed to address. They simply allowed the opposition to grow on the freedoms given to them by Yahapalanaya. A cardinal mistake. One cannot govern with weak knees. No politician of any stature has been found guilty of corruption in Sri Lanka. That is by design. Politicians do not wish to do that because the same fate might befall them. The weak would also fear to do so as others may seek revenge on them by foisting a false charge. Party insiders feel that Ranil belongs to the latter category and he had a hand in getting the former Attorney General to go slow on framing charges. The media was awash with the 1.4 billion dollar deposit in Namal’s name in a Dubai based bank. They botched it. They found out about Wimal Weerawansa’s and his wife’s forged birth certificate and Passports. Nothing has taken place yet. The infamous MIG aircraft purchase which figured in many a newspaper as a Government to Government deal is now shown as an agreement between an individual and our Government. The backend agreement between that individual and the Ukrainian Government is for $ 7 Million US less. Nothing has happened. Lasantha Wickramatunga murder case, Prageeth Ekneligoda disappearance, Ruggerite Thajudeen’s murder are all in limbo. The seven Tamil boys who were killed, is another case in point. The ACF workers….my gosh the list is endless. Why the Yahapalanaya government could not make haste where it was needed is mysterious? No. It is not. Mahinda Rajapaksa carried flowers from temple to temple and numbed the buddhist clergy in full view of the media. He also espoused that the Sinhala/Buddhist brand was superior to other races merely as a marketing exercise to expand a block vote. Privately he has nothing but derision for both. Against this Ranil loved to keep the Rajapaksa coterie out and about to split the SLFP vote between Maithripala and them. Maithripala in turn appeared to be favouring Gotabaya and keeping him out and about, perhaps to have him by his wing on a later date. Between the two they missed the woods from the trees in heeding the mandate they were given in 2005. Added to this the duo looked inward to catch their own rogues. The Bondgate was the classic example with Ravi Karunanayake episode adding the salt and pepper. So, the Yahapalanaya government showed the 61% and the balance that, the rogues being prosecuted were “On Our Side” and not theirs. By implication when the Yahapalanaya government faced the local elections it was the Bond scam that the people remembered. True it was corruption at high level but it was also an own goal. The former rulers were made to feel Lilly white. President Sirisena forgot that he was meant to work together with the two factions within the government and so fail did Ranil Wickremesinghe. Being a senior hand in the game he could not adjust to managing Sirisena nor the other renegade SLFP’ers. he failed similarly with Chandrika too. The people by and large were not impressed as stated early into this article. “Nothing is happening” was what one heard, well into the third year. Prices of commodities were higher during MR era but the Yahapalanaya government did not know. Astonishing. So what bodes for Sri Lanka? Unless and otherwise the coalition gets the cases against the previous lot expedited it would be curtains. Not for them. BUT FOR US. Yahapalanaya requires, Sense and Sensibility. What Would Lee Kuan Yew Do? Bottom line is, Bondscam Ranil and Mahinda Rajapaksa need to be put in the same prison Cell. Best piece of writing/analysis I’ve seen in a long while. Any which way it points Lanka is doomed ………….the failure of the “yahapalanaya” mob does not mean the former Rajapakse Mafia outfit is the answer …………but they will surely return with a vengeance………. Few months after Ranil became the prime minister, he went to Indonesia and out of the glare of the SL public gave an interview to a Indonesian TV channel …………….and I wrote in CT then, no need to wait 5 years make up your minds now that no one will be prosecuted for corruption. ………..It was plain even then that he had made up his mind not to prosecute anyone. ……….Cowards ultimately pay for their cowardice. 3 extraordinary figures – Black Swans out of the ordinary; if you will – have emerged in recent times to the great determent of the country – Prabakaran, Mahinda and Ranil ……..one in a millennium ……….terrorist, a con-artist and a weak incompetent buffoon of a leader of a major Lankan political party. One has bitten the dust; two to go. Then what awaits around the corner? In Lanka, your guess is as good as mine! Mangala Samaraweera lost his seat to the rookie SLPP at Feb 10 LG polls. So did PM, President, and almost all powerful ministers. Do you want to know what Sinhala newspapers now write about RW and My3? No thank you, no one wants to know. As long as the words ‘Sinhala, Sinhalaya, Sinhala Buddhist, no one, even with a pea-brain would read it. Sinhala has becoming a dead language & the Sinhalese will be an ancient tribe very soon, thanks to ignorant, idiotic, racist people like you. Keep in mind, everything in this universe is ‘Interconnected’ and ‘Interdependent’, that is pure ‘Buddha Damma’…….nothing else. If you think that the war was fought by the Srilanka state against LTTE only, then I am sorry you do not know the realities. During the war, government committed murder of non combatant Tamils as well as ethnic cleansing, and deliberate destruction of their properties. War was fought with a clear agenda of keeping Tamils suppressed by reducing their population and ruining their economy . This is the reason why that even almost 09 years after war ended, there is little or no attempt on reconciliation with Tamils and restorative justice to them. So what John Kerry said was right. In SL, people do read and write. They feel the impact of government policies. Social media are extremely powerful and the truth can not be hidden like in the West. 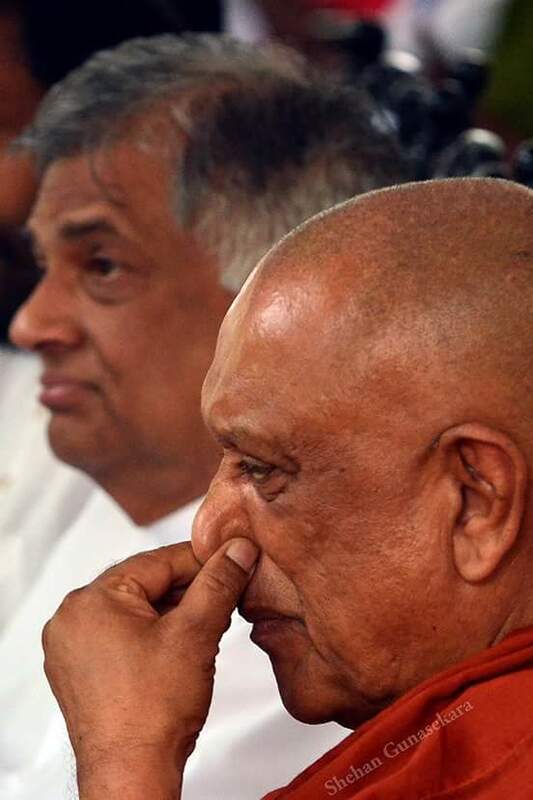 Is that Sobithaya clamping his nose with his fingers? Has Ranil emitted foul gas even before YAHAPALANAYA? This writer has done whitewash job on the misdeeds of Yahapalana. A typical, “hunu gahana” job ! She says that the media was awash with the $1.4 billion dollar deposit in Namals name. That is the kind of falsehood propagated by the Yahapalana mob which brought them into power by fooling the people. Another mythical story is about Namals Lamborghini again a concocted story for the gullible. No one has produced any photo of this mythical car of which. Charitha de Silva wroteto the press to add credence to the falsehood. He being former Chairman of Aitken Spence made this blatantly false story sound plausible. He of course is married to a Tamil woman therein lies the key to the whole fairy tale! This woman who wrote this piece should hide her head in a bucket of limewash. Super analysis ,if taken as speculation or facts ,is a different matter. Such superlative standard of writing ,lost for words . Thank you Lasanthie Warnapura for the well balanced, meticulously sequenced article. The first paragraph says it all! Somewhere near halfway Lasanthie says ~ “……….No politician of any stature has been found guilty of corruption in Sri Lanka. That is by design……….”. Absolutely. This is by design. WHY? Lasanthie has the answer ~ “Politicians do not wish to do that because the same fate might befall them. The weak would also fear to do so as others may seek revenge on them by foisting a false charge…………..”. Shall we open up 89′ Bheeshanaya files too?. What about 83′? What about Jaffna library? For yahapalana suckers the only government that existed before is Rajapaksa’s. But Ranil remembers well and knows well about mega swindles during last three years. He has to contend with the possibility of a pro MR regime in the near future which already has been proved right. It is easy for the others to clamour for punishing Rajapaksas. Where do you live? In Mars! What silly logic is this? People voted overwhelmingly to Rajapaksas because they were not punished!! Crime and corruption survive and then thrive where there is impunity. People learn to take first it as the norm, then standard, then the impunity become the law of Land. The current condition of Lankawe is impunity is the Bible, not just obeyed but revered too. Soma, you have a problem to understand this? Give a try. You can make. Country still have an average IQ of not less than 79. DUMB RENU: when they print money and increase Salary by large amounts, that will automatically increaess the cost of living or in other words, COST of living goes skyrocketing and out of control. that is not the way to increase salaries. It is simply based on skill and labour demands as well as to keep useful workers. Eagle Eye do the comparison of Prices before 2015 and now along with the gains Public Servants have got of Rs 10,000. Salary Before 2015 Jan Present Salary of Government Servant with Rs: 10000/- Per month. DhaL Rs 114, Potatoes Local Rs92/- Ponni Samba Rs 66 Per Kg at Cargill s , Milk food Prices below 2015. Please do the sums Then you will know you are living in Mars. Soma He has lost his vote base from 2015 % wise, Please check the figures. The photo is a beauty. Someone has farted ! Looks like Ranil. Sobithaya has clamped his nose, else he would savour the fragrance! Ranil seems to have taken a nose full and still holding it in his lungs before exhaling. Kawda padaya? Ranil padaya! Kawda hora? Ranil Hora!